Surrounded by a hectare of lush farmland, Corbett House is a tranquil home away from home. 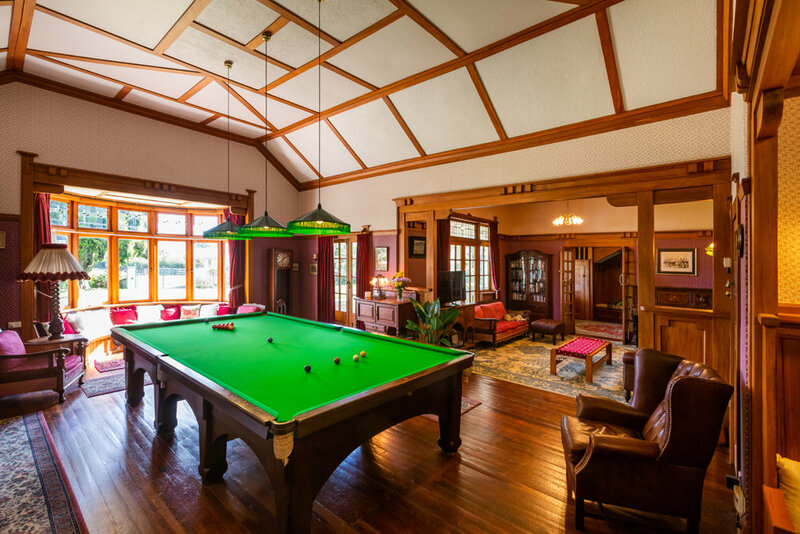 Built in the early 1920s, this Heritage Category B Arts and Crafts style home truly celebrates a bygone era. Your hosts, Anja & David Corbett, are proud to share their historic family home with its guests. Your comfort is their biggest concern and they offer a warm, personalised service, providing rooms with comfort and relaxation in mind. This extensive property is surrounded by beautiful specimen trees including native kauri, rimu and tītoki with many trees over 95 years old. A charming house built on two levels has a warm welcome awaiting our guests. The large private section attracts a large number of native birdlife including kaka, tui and kererū (wood pigeon). The totally private back section of the property has a large verandah where our guests can choose to relax and enjoy the extensive views of the paddocks where our flock of Arapawa sheep graze. We also have a busy brood of free range hens supplying us with eggs. Corbett House or "The Big House", as it is locally known is situated in the peaceful rural village of Hikutaia. Just a 10 minute drive from Paeroa, a 20 minute drive from Thames and a 1.5 hour drive from Auckland. We have three different rooms for you to choose from all featuring Corbett Houses' unique charm and character. Each with beautifully preserved heritage features and gorgeous views over the grounds. Choose from the Kauri, Rimu or the Titoki room, all named after the native New Zealand trees found throughout the property.